Join us, along with other churches throughout our city, as we partner with Caris, a faith-based organization that serves mothers with unplanned pregnancies. 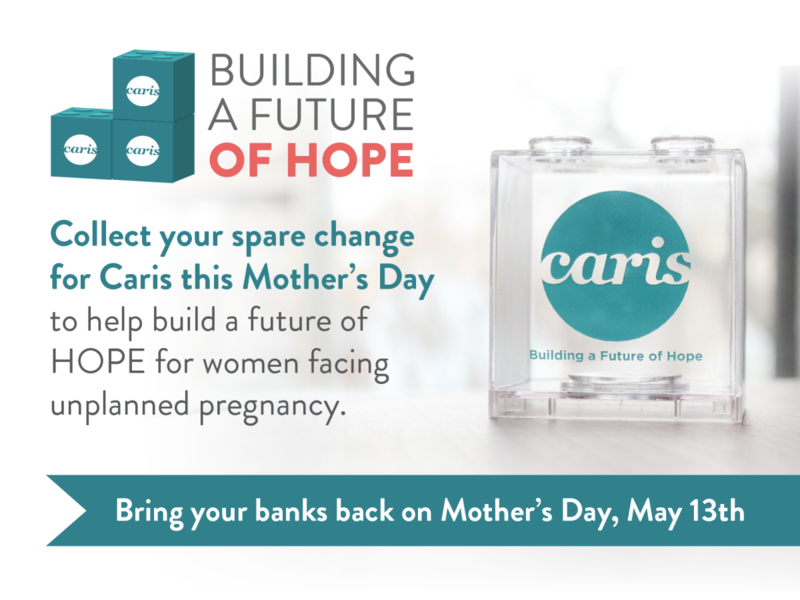 In this specific initiative we will be adding any loose change, bills or checks into a coin bank that will be collected by Caris and used to better serve their organization as they serve mothers. So grab a bank, fill it up and return it on Mother's Day - Sunday May 13th!